Get a 10-seater corner rattan-effect sofa set. In a stylish grey colour with grey waterproof cushions. 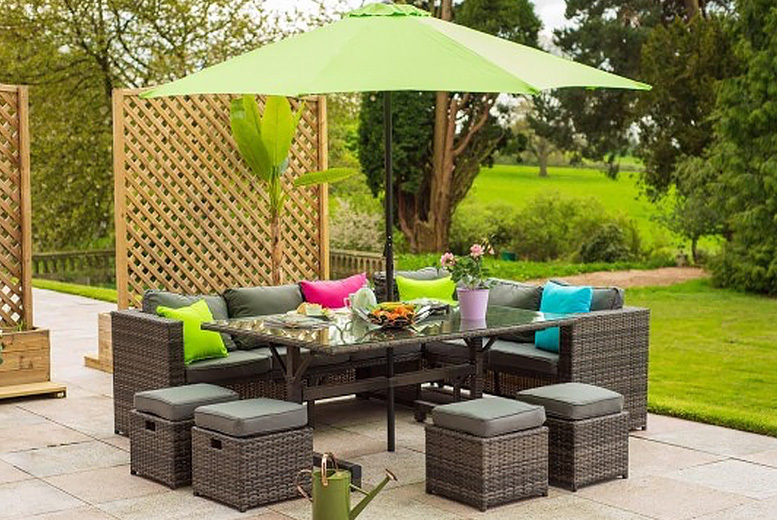 Made with durable and UV-resistant poly rattan. Includes a dining table and parasol (see full details)! And a protective rain cover. Perfect for soaking up the summer sun at home.